You know yourself as an expression of universal Being, as a cell in the terrestrial body of the One whose consciousness is now awakening in the human family, a consciousness that is ultimately, and beautifully, your own. One Being is the source of all creatures. The life of that Being shines through the multiple prisms of diverse worlds… Behind your individuality, beneath your cultural images of self, that Being is who you are. We bring you these transmissions that you might come to live once again as we do, in full consciousness of your Source… When you know yourself this way, you recognize the others of your kind. As our communication flows into communion, you recognize yourself in us. You awaken to awareness of our common Source… Though not all of us have chosen, as you have chosen, to dress in human form, still, we are your family within time, your sisters, your brothers. Beyond time, we are one. We are a race of voyagers, spirit beings in the eternal fields of light; yet we are you yourselves as you would have been had you not succumbed to the spell of matter. We are you as you remain beyond material illusion, addressing in these pages a sleeping part of ourselves that you might awaken and know this awareness as your own. We would shine the light upon the reality of your presence from behind you, from above you, from beneath you, that at last you might recognize that light within you and awaken. We invite you to leave behind your historical impressions of the human experience, that you might rise to your natural level of consciousness…As a representative projection of eternity, a nerve ending of God-in-matter, you remain conscious of eternal unity even while experiencing yourself as part of diversity’s material fabric. To be the One and simultaneously the many – this is your calling, your purpose, the ultimate destiny of your kind. You who slumber still beneath the spell of matter…Open to the living information of the life force that rises within you…it is the only guidance you require. At the deepest levels of your being you have always known these things. We who inhabit the fields of light share with you a common spirit. We knew you in the beginning, long before you dressed in robes of soil and stream. In oneness with you we sent forth the harmonic currents that brought this world to be. Together we parted the skies and opened the waters of the heavens….Together we poured our radiance into this world… We are inviting you to help us bring into physical formation the vision that inspires the universe. You are the template, the prototype of a new and universal species, part solar, part material, both temporal and eternal, the species that will span the gulf between the visible and invisible, bringing new worlds into form. Through you a new and unprecedented cycle of creation will occur. Echoes of this awareness have ever haunted the historical continuum, surfacing here and there in your better music, glimmering occasionally in your finest art. But when you entertain the open and unbiased vision of eternity, even the best of what has been grows dim in the light of what you see. For in truth even the finest moments of the human past are but crude two-dimensional caricatures of the future that is soon to be. Eons ago, before there was physical matter, you were one with us…In the Language of Light our word for “other” has no singular form, while both “one” and “infinity” are represented by the same word. You are the Being behind all individuals, the awareness within and beyond all these things. You know this in spirit. To know this while in individual form [in the material world] is to be conscious. To imagine that you are the focus of individuality itself, to imagine that you are the form and not the spirit that animates it is to be subconscious. Your fall from awareness of your eternal nature into the illusion of separation was not a single event. It was gradual. You began to take yourself more seriously. You began to think of yourself more as the external form of expression and less as the spirit behind expression. Not long after your arrival on the physical plane you began to think of yourself as separate beings, cut off, distinct from your Source. You developed a strange habit of storing identities within your psyche as one might store dresses or suits of clothing in a closet, preserving them with herbs of self-importance and spices of fear. In this quarter century, your dream produces its harvest. The bridge between Creator and Creation appears… The field of collective human consciousness is now entering the final stage of the awakening process, congealing into awareness of itself as the organ of consciousness (similar in function to a brain) of a single planetary being, a being with internal organs of oceans, forests, ecosystems, and atmosphere. The purpose of these transmissions is to awaken the Creator upon this material world – and to guide You into that awakening awareness. You (the Creator) do not want to dissolve their individual distinctions in a single burst as they realize their essential unity with you. Your goal is not to end individuality, but to inhabit it… So you have sought to awaken humans slowly over the centuries, preserving their self-distinctions that they might continue with you as a family, as a co-operative association of interconnected informational beings. Through some the awakened planetary intelligence of the earth will flow, while at the same time others will be conduits for the solar intelligence of the star system – or perhaps at times the intelligence of other stars. Many will channel the intelligence of that Being who is the catalyst and creator of all biological life. When you understand the nature of your essential being in metapersonal terms, you know you’re human as a cell in a developing planetary organism. And you recognize in that organism the signature of your own spiritual identity. In much the same way that complete genetic information for an entire human body is contained in each of the body’s many trillion cells, each awakened human being has inner access to the information circulating in the unified field of awareness that precedes all individuality. To know yourself as an awakened individual is to also know yourself as the Being of the surrounding context. You cannot travel into yourself without exploring the infinite reaches of eternal consciousness. You cannot know yourself in reality without knowing God. You emerge from the spell of matter, setting up a powerful resonance, a morphogenetic field that radiates outward from your heart, penetrating the surrounding atmosphere, making it easier for others also to reorient in love. No matter how well you may understand this on a spirit level – and of course in spirit you do understand – you must bring your ego into that understanding and practice this truth, live with it on a daily basis, or your awakening is not complete. Your challenge is to awaken from the spell of matter while still retaining the human forms you have gathered about you during your descent into this physical world. Our legions are here to encourage and support you. 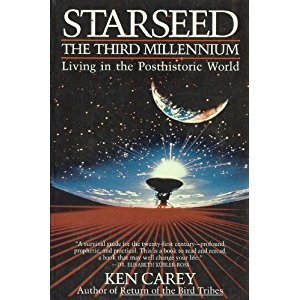 We remember your instructions from the moment before you scattered into the seeds of humanity. Even as we watched your many individuations drifting downward in the spiral dances of gathering structure, your words rang in our ears. Within you who read these words, that vision swirls, latent in a burning love for the productions of time, a love that we now call upon you to remember as your own. Within you slumbers the creative vision that first illumined dimensional space. 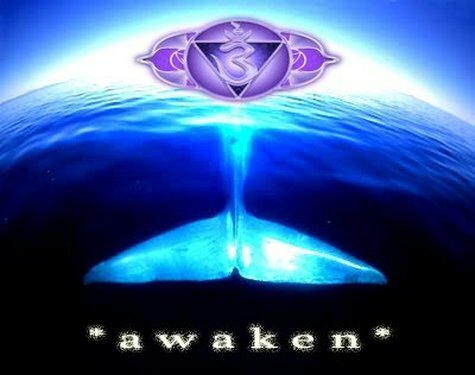 Within you the Star Maker trembles on the threshold of awakening. Your ego will not dissolve in such an awakening; it will ascend into enlightened comprehension of its co-creative partnership with the Eternal Being in whom this universe congeals. Already you are moving in the currents of eternal thought. As you continue to flow with this thought, it becomes your own. You remember. Guiding human thought toward the currents of universal awareness has been slow and tedious. We have long known that the larger the earth’s population, the greater the probability of awakening. Yet for millennia, territorial fear-centered behavior has kept human numbers reduced to so few that genuine breakthroughs – sustained spirit incarnations – were extremely rare. In the last century the greatest breakthrough into human consciousness has been through the use of communications technology, beginning with print and later computers…that effectively unite the diverse human cultures of the earth in a single global communications network. Our educational activities become more conscious and more effective with each passing day. It is possible…a chain reaction in human understanding resulting in planetary awakening could theoretically occur at any time. On the eve of this great metahistorical event, the current of universal attention is flowing so powerfully toward this imminent awakening that it resembles a river approaching floodtide. Throughout the realms where those of our kind are conscious, we share this awesome current of attention. As creatures of the current, we qualify its interests with our individuality, working together in our various capacities to help you awaken to your native understanding. Your awakening, when complete, will signal a distinct new evolutionary phase, with new ground rules and wholly altered creative conditions.